FORT LAUDERDALE — The demographic projections tell the story, National Marine Manufacturers Association president Thom Dammrich said at a meeting Thursday of the Marine Marketers of America to talk about reaching out to new markets. 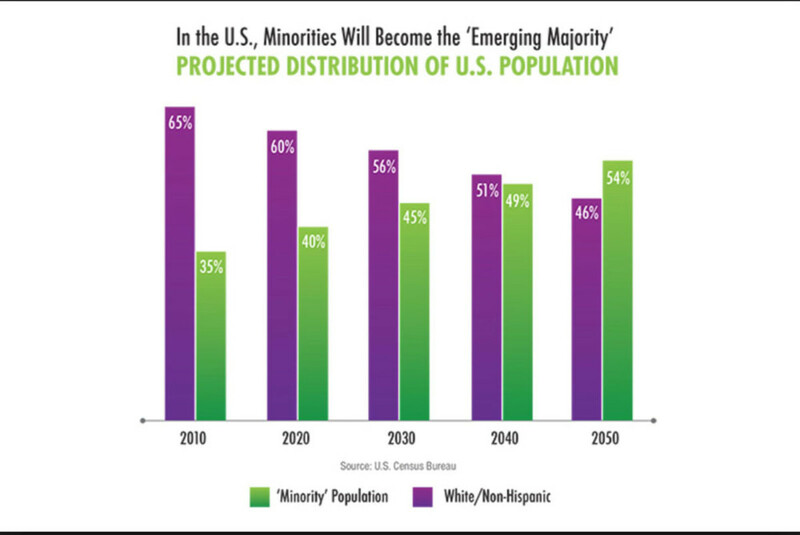 Dammrich said more than 52 percent of American homeowners will be Hispanic by 2030. The number of Hispanic-owned small businesses will grow 47 percent by that time and Latina-owned businesses will increase in number by 137 percent. Hispanics accounted for $1.3 trillion in buying power in 2015. Meanwhile, income growth among African Americans is outpacing non-Hispanic white income growth and their buying power will increase to $1.4 trillion in 2017, he said. And the Asian population in the United States is growing four times faster than the white population and 54 percent of adult Asians have a bachelor’s degree or better, compared with 32.5 percent of the general adult population. All three groups are young, compared with the general white population. “The data is clear,” Dammrich said. “There is a seismic shift in the demographics of this country, and it’s a great opportunity” for boating businesses to reach out to new markets and reverse the decline in boat ownership that is attributable to an aging boating population. An October 2016 Boating Industry magazine survey suggests that 73 percent of marine businesses are “not concerned” or “somewhat not concerned” about broadening the industry’s diversity, although 32 percent also say they are “very concerned” about the aging boating population. “How are we going to grow this industry if 73 percent of us are not interested in reaching out to a more diverse community?” Dammrich asked. He said the nonchalance appears to be rooted in the misperception that these minority groups can’t afford to go boating. “There are plenty of African Americans, Hispanics and Asians that can afford to spend money on leisure and recreation” and on recreational boating, he said, but it takes a commitment from the top levels of an organization to reach out to these markets and cultivate them in culturally sensitive ways. The Recreational Boating Leadership Council’s New Markets Task Force has produced videos about five case studies of companies that have succeeded in reaching out to emerging markets. One of those companies now derives 40 percent of its revenue from a new market — Chinese boaters. If they do, it could fuel a level of growth that the industry has not seen since the 1970s, he said.